Who ever reads this blog knows coffee. That’s for sure. Not just coffee, but designer coffee, flavored coffee and specialty coffee. Since the past 8 years we have evolve and created lots of ways to drink and enjoy our coffee. Every country, culture, and person drinks his coffee in a certain way unique to himself and is suited to his personality and lifestyle. We drink it hot, iced and or Ice blended. But have you ever encountered spiked coffee? Yes, you red it right. Coffee with a spike. Sounds naughty isn’t? Indeed. Coffee that is naughty, Fresh brew with Baileys, Kahlua or Vodka. This not your ordinary breakfast coffee; or coffee that you buy from your overrated neighborhood coffee shop. This is the kind of coffee that everyone will enjoy after 5. The usual coffee shop hangouts and conversations over coffee will never be the same again. The Euro-continental expertise of Delifrance translated its gastronomic savvy into an exciting line of spiked coffee. And guess what, they’re doing it for FREE via the new after-five experience with a twist: Spiked after 5. First up is Irish Kiss Baileys, the closest replica of Chef Sheridan’ creation, which can be served steamy, for those of you who like it hot or it can be served on the rocks for a chill. An exquisite blend of rich espresso, Irish whiskey, creme, and lemon-sugar kissed rim, Irish Kiss Baileys offers the adventurous coffee lover a sensually charged experience. 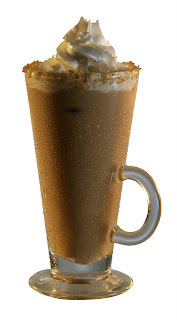 Meanwhile, coffee aficionados who love exotic flavours will find a cup of Mayan Passion Kahlua (available in iced or hot) – heavy and sweet liqueur mixed with intense espresso, whipped cream and lemon sugar – an exquisitely amorous and energizing elixir. Finally, crowds looking for something bold and adventurous can enjoy the tantalizingly taste of Sputnik Vodka Espresso, a wild fusion of crushed blended ice, aromatic espresso, crystal clear vodka and lemon sugar. With Delifrance’s exciting twist to the after-5 scene, having coffee is not simply enjoying some old coffee for a few bucks; it is an entirely new and seductive experience. Truly, Delifrance is the place where coffee gets naughty.